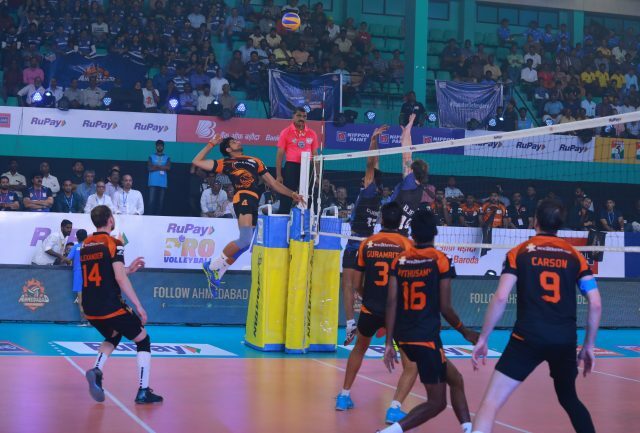 After securing two wins in two games against U Mumba Volley and Ahmedabad Defenders, Kochi Blue Spikers will look to continue their dominant performances as they face Black Hawks Hyderabad on Friday. 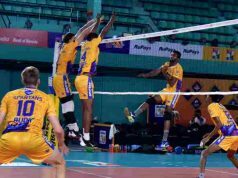 Sitting second in the table with four points from two matches Kochi will be looking to make it a hat-trick of wins on February 8th at the Rajiv Gandhi Indoor Stadium in Kochi. Kochi has been riding high on confidence with the fans coming out in large numbers to support them. Skipper Mohan Ukkrapandian has led the side from front with two ‘player of the match’ performances. 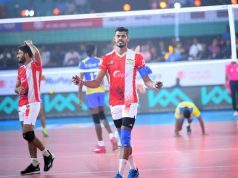 Black Hawks on the other hand are placed in the third spot courtesy their win against Ahmedabad on February 4th and will play two back-to-back matches on February 7th and February 8th, 2019 facing Chennai Spartans and Kochi respectively. 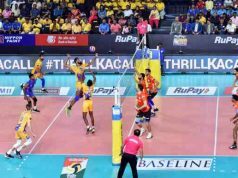 The live broadcast of the match will start on SONY SIX and SONY TEN 3 and live streaming will be done on SONY LIV from 6:50 PM IST on Feb 8th 2019.